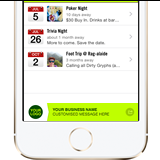 Try our FREE trial of managing your ad banners now! Click on ‘manage ad banners’ via your dashboard. Team App is absolutely FREE with no set-up, download or usage costs. Development and maintenance is funded by mobile ads that appear on various screens of your app. We make every effort to ensure ads we serve are relevant and don’t upset the user experience. Team App also provides clubs the opportunity for exclusive ownership of the ad banners that appear on their app. Your club can profit by buying your ad banners and creating your own ads (via our simple ad creation template) for your sponsors or other advertising opportunities. 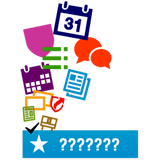 To buy your ad banners or for more information go to your Team App dashboard and click on the ‘manage ad banners’ button. Or click this YouTube link to watch a short video. Team App has a sponsors button that can be turned on and displayed in your App. As an administrator of an App this button enables you to list sponsors with their logo, a small description and a link to the sponsor’s website. This section can be commercialized any way your club sees fit. 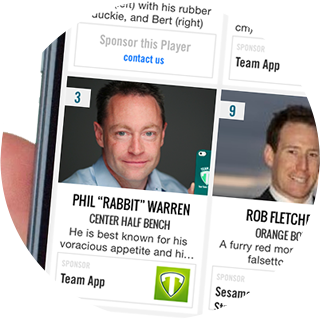 For example a spot in the sponsors section of the App could be included as a value add in a sponsorship deal. Through the player profile section you have the option of turning on player sponsors. This will list a sponsors logo and link through to a sponsors web site when pressed. Encouraging your players to obtain a sponsor for a small fee opens the possibility of raising significant extra revenue for your club. Team App has a “Team Store” section that you can set up to allow your App to accept payments or sell items relevant to your club. These might be membership fees, team merchandise or tickets for a fundraising event. Your Team App members will be able to make payments with a credit card directly into your bank account. 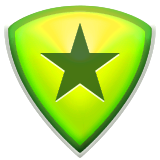 All buttons in Team App are customizable, enabling you to change the name and function of any button. Meaning you could re-name a weblink button to the sponsors name and link it directly to their web site! Or re-name a button to promote a special deal or to provide naming rights, such as naming the button, ‘Weekly deal’. 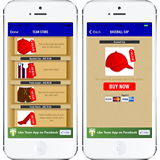 Team App is your App and you can commercialize it in any way that suits you and your sponsors. Within Team App you have control over push notifications for your App. You could commercialize this by sending a sponsor’s message to your members. 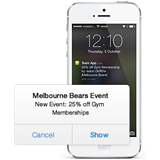 The two methods of push notifications are through news articles and events. A news article can include any image and text, so a promotion could be sent to members via this method. The other option is a new event for a sponsor’s product launch, which could provide great commercial value. 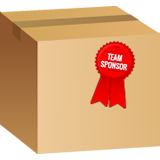 Package A includes a logo, description and link on the sponsors page. Package B is ‘Package A’ plus a set number of push notifications advertising your sponsor’s products and/or services to members. Package C is ‘Package A & B’ plus a permanent button within the App that links directly to your sponsor’s website. For even more value look at tying in these packages with your traditional sponsorship offers such as naming rights, logo placement, newsletters and web promotions. And don’t forget if you have a ticketed event you can display your sponsor’s logo on the mobile tickets.